A double feature of two local acts who are teaming up in 2019 to preach the good word of folk and bluegrass music to the masses! Come see The Storytellers for some Food, Fun and Folk Music at the award-winning independent craft brewery Wolf Creek Brewery in Valencia, CA! All Ages, Rain or Shine! Bring some friends and an appetite for great food, great beer and great music! 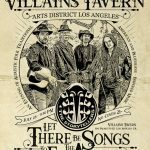 The Storytellers will be folking around at the classy and rustic Bon Vivant Market & Cafe in Atwater Village. We'll be performing tunes from our Old Time, Bluegrass and Folk catalog! Fun times guaranteed! 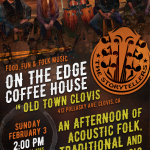 The Storytellers are heading up to Fresno, CA ... near Lance's hometown of Clovis ... to perform an early show at The Backroom of The Revue Coffee Bar in Fresno's storied Tower District. 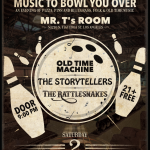 "Music To Bowl You Over"
The Storytellers return to DTLA’s cool and classy Redwood Bar for a Thursday night showcase with King Cardinal and The Broadcast Station. Show begins at 8:00 PM. The Storytellers go on at 10:00 PM. We will be joined onstage by mandolinist Bill Birrell of The Rattlesnakes Bluegrass Band. The Storytellers return to The Old Towne Pub Pasadena, one of the great live music venues on the Eastside. 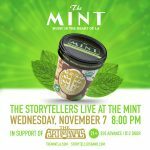 The Storytellers are pleased to be performing a 30 minute set at The Mint LA opening for the *AMAZING* band The Artisanals. Cover is $10 Advance or $12 the day of the show. 21+. The Storytellers perform on the main stage of the California Avocado Festival in Carpinteria, CA ... one of the very beautiful, unspoiled beach towns in So Cal. This is a major music festival, celebrating the human relationship with avos! All ages. FREE. The Storytellers perform at KCSN Westfield Concert Series in Canoga Park , CA. All ages. Free. Unwind at The Village and listen to live acoustic folk music in partnership with Southern California’s hippest public radio music station, 88.5 FM, and Harman/JBL. The Storytellers will be performing a set at the Love Street Festival in Laurel Canyon this Sunday, July 22 at 12:30. 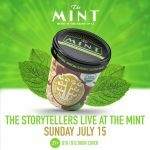 The Storytellers are pleased to be performing a 30 minute set at The Mint LA opening for the *AMAZING* band The Artisanals. Doors: 6:45. Cover is $10 Advance or $12 the day of the show. 21+. Join The Storytellers, with Justin Amen & The Hybrids as we perform an evening of Americana and Indie Folk music at Dba256 Bar & Gallery in Pomona, CA. 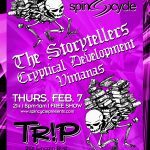 The Storytellers Return to Trip Santa Monica! Turn on, Tune in, TRIP OUT with The Storytellers! 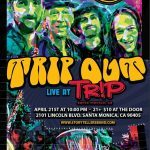 We will be playing a 90-minute-long set at TRiP Santa Monica - LA Weekly's "Best Neighborhood Music Venue" with renowned mandolinist Tom Corbett. Spread the good word! The Storytellers will help celebrate Independence Day at The Will Geer Theatricum Botanicum's 4th of July Barn Dance and family hoe-down. We're baaack! 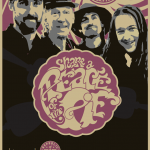 The Storytellers return to Republic of Pie to share some Peace, Love & Harmony. You know the story: Delicious coffee and tea, decadent baked goods and tasty tunes of the Americana-Roots-Folk persuasion. We are pleased to be performing at The Redwood Bar for their Americana Sunday! This is 21+ with a $5 cover. This bar is cool as hell with a well-earned reputation for hosting quality music. Alternative healing, spirituality and vegan food is right up our alley, so The Storytellers will be performing our special brand of acoustic folk music at The Foothills Healing Arts Faire from 11:00AM to 1:00PM. 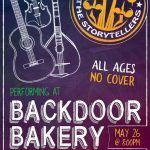 The Storytellers will be playing a set at The Back Door Bakery & Cafe in Sunland. The Storytellers will be playing an hour-long set at The Lexington Bar in Downtown Los Angeles. 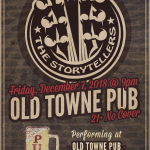 The Storytellers will be playing an hour-long set at the very cool Old Towne Pub Pasadena. We're excited to have banjo extraordinaire David Burns performing with us. The Storytellers at Fiesta of the Spanish Horse "Mane Event"
The Storytellers will be performing as part of the Fiesta Of The Spanish Horse "Charity Mane Event" Spectacular Show in Burbank, CA to raise funds for Cancer research. The Storytellers at Trip on 4-21 in Santa Monica! 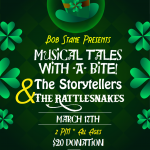 Celebrate 4-20 Weekend with The Storytellers! 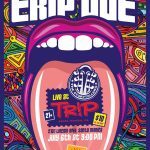 We will be playing an hour-long set at TRiP Santa Monica - LA Weekly's "Best Neighborhood Music Venue"- in Santa Monica. The Storytellers will be performing two 2 hour full sets of music on Easter Sunday. Admission to the Spring Carnival is FREE and our concerts are FREE. The Storytellers will be performing two 2 hour sets of music on Saturday. Admission to the Spring Carnival is FREE and our concerts are FREE. The Storytellers will be playing an hour-long set at the *Amazing* Republic of Pie Coffee House and Concert Venue in Northhollywood. The Storytellers Trio will play bluesy, folky set at a business mixer for our friends at the Sunland Tujunga Chamber of Commerce tonight, Wednesday, March 21, 2018 at Taco Ranch from 6:00 to 8:00 PM. The Storytellers will be performing 4 songs at Sun Space performance venue in Shadow Hills for their weekly "Unusual Tuesday" event.